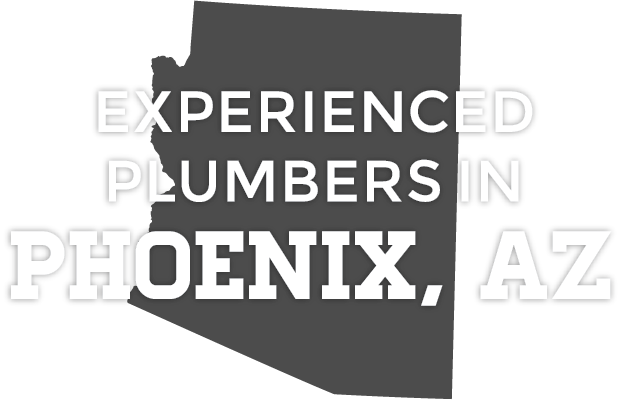 For a plumber Phoenix can trust, contact Boydco Plumbing, Inc. Not only are we your full service plumbers, but we are committed to bringing you the best in customer service as we strive to fix any and all plumbing issues that you are faced with. Serving the entire Phoenix Metro area, we are committed to our residential and commercial customers, bringing them service that we would want in our own homes. Boydco is awesome! The owner Rhonda Boydco is such a phenomenal business owner and have a wonderful staff! They are always super friendly and quick to the job! I recommend you use them if you ever have plumbing issues! I have used Boydco for over 20 years. They have always been prompt, thorough, and on time. I would recommend them to anyone. I had done my own hot water replacement a few years back, but hadn’t finished it properly. Boydco did the repair I should have done in the first place. I had an issue with my RO system – Danny had changed the filters for me on a previous call. The bladder in the tank had collapsed, and I also wanted the float valves in a few toilets replaced. He came out, got me a new tank, replaced the float valves on 4 toilets. He asked me when I last flushed the hot water tank – probably never. He took care of all of that. I like him because he is honest about what should be done and what is not necessary. He was wonderful, very courtesy and it went well. Great price and I’d use him again no question. We had a water line break under our slab in the back yard. Boydco ran new water lines for the entire back and side yard for the sprinkler system and bubbling system. They did a very professional job, there was no damage to our yard or flower beds. All of the landscape was put back, grass and rocks. They did a very professional job, there was no damage to our yard or flower beds. All of the landscape was put back, grass and rocks. We are currently having Boydco replace all of the water lines in our front yard. they are a honest company, and I will continue to do business with them. If you live in Maricopa County, and need a plumber – you need Boydco. I have worked with Boydco for over a year. With decades of experience, they can handle anything from a clogged drain to a major renovation. Recently, while working in my yard, I noticed my water heater was leaking. I immediately called Rhonda, and within the hour, Danny was at my house. This is a family-owned business that values every customer. They are punctual, experienced, fair and honest. It’s nice to know I have someone I can always count on. Plumber came out for a free quote. We then set up an appt for several days later. The job took 4 hours. We offer 24 hour emergency plumbing services for those problems that you simply did not see coming. We offer free plumbing estimates. We are available to contact 24 hours a day, 7 days a week. Before we start any job, we will speak with the property owner so that they know the cost of the plumber job beforehand. All plumbers and technicians that we employ are highly trained, qualified, and experienced plumber. We use only the latest cutting edge technology to give our customers the best results. We offer a huge range of plumbing services.